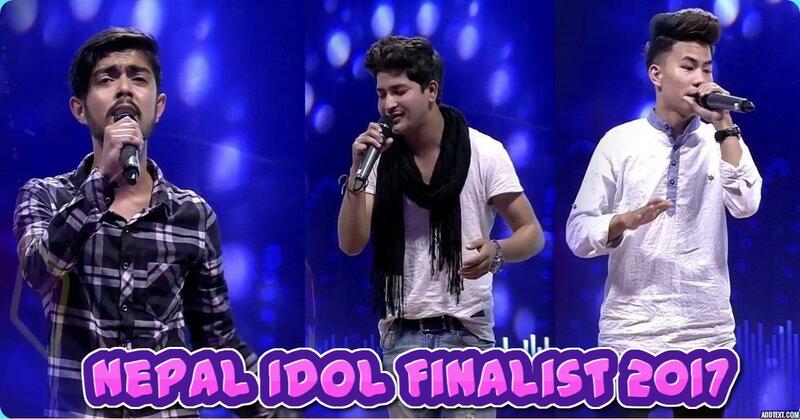 Buddha Lama, Pratap Das and Nishan Bhattarai becomes the luckiest Nepal Idol Finalist for 2017 i.e. first Nepal Idol final contestant in history of the very first most popular singing reality program of Nepal. Unfortunately, Sagar Ale could not make a space for Nepal Idol Finalist 2017. As we all know last Gala Round audition held on 8th of September 2017 is even more popular than ever. Since the case of no elimination in 1st of September 2107 audition is reached up to the Kathmandu District court and has issued an interim order to stop counting the votes. But at 7th of September 2017 Court scraps case against Nepal Idol citing insufficient claim. Anyway, below are the name and contestant and their voting code those will compete on the historic first Nepal Idol Final show. However, today we receive exclusive information about who has received how many votes from SMS and how many votes they receive from Nepal Idol Official App. According to the true copy records that Nepal Idol submits in Kathmandu District court is as follows. According to above result Buddha Lama got the highest vote from SMS as well as from online voting through Nepal Idol Official App. He has received six lakh ninety thousands and fifty seven vote from SMS which is vote count only from voters inside Nepal and at a same time he receive four lakh fifty four thousands four hundred and eighty one from the international voters. Whereas Pratap Das received the second highest vote from SMS i.e the voters from Nepal which is seven lakh fourteen thousands nine hundred and ninety nine and. But from the international voters he received the least count vote which is one lakh seventy eight thousands three hundred and forty eight. The most performance of the day awarded singer Nishan Bhattarai has received the third highest vote through SMS as well as from the international voters which is five lakh three hundred and thirty one and three lakh seventy thousands one hundred and fourty nine respectively. Sagar Ale who becomes the third runner up of the first Nepal Idol 2017 has received four lakh nineteen thousands eight hundred and seventy five and three lakh ninety thousands and fourty vote from SMS and international voting respectively. Even more with this, just let you know; Nepal Idol team has been already declared that its grand finale is going to be held in Qatar. Finale will be jointly organized by On Action International and Everest Nepal Youth Association at Asian Town Industrial Area Ground on Friday, September 22.